Trainer note from Colin and June : Teddy is a lovely dog - we just wish we had a photo of him here to post on this website! Trainer note from Colin and June : 6-month old female golden doodle puppy enrolled on our Silver Program (one year guarantee). 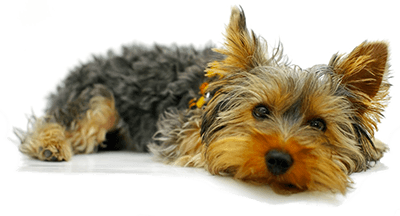 Trainer note from Colin and June : 8-month old, male Yorkshire terrier puppy enlisted on our Silver Program (one year guarantee).